Welcome to Secluded Sanctuaries. We are dedicated to showing our guests the beauty of nature and all that it has to offer. Secluded Sanctuaries is the perfect escape for a much needed getaway. 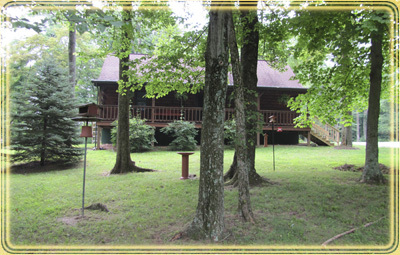 We care for our birds very well and they are easily seen by sitting on the porch of your own private sanctuary. Each cabin is equipped with bird baths, feeders, bird houses, and binoculars to embrace these amazing creatures and their habitat. We are pet friendly and offer a comfortable stay for your best friends. We take a lot of pride in the amenities we have to offer: fully equipped kitchens, WiFi, satellite TV, flat screens, hot tubs, gas fireplaces and much more. We provide all the comforts of home with that rustic log cabin feel. 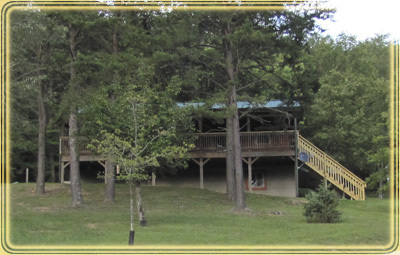 A handcrafted log cabin with an open floor plan and a loft overlooking the main living area. A private bedroom boasts a very comfortable king size bed. The open loft has a full bed. A perfect romantic getaway for two, but can accommodate up to four. The Perch offers two private bedrooms, two bathrooms, kitchen and living area. It is the perfect romantic getaway for two, but it too can accommodate up to four.